Thank you for visiting our web site. Thanks to today's incredible technology, we are able to extend a "virtual visit" to our funeral home. We hope that the site provides the answers to some of the questions you may have. Certainly, there is no replacement for live conversation, or a personal meeting, so please feel comfortable to call us, or to schedule a convenient time to meet. We are at your service. We believe that children, as well as adults, should feel as comfortable as they would in their own home. This is why we have a children's area with tables, chairs, books, dvd's and toys to help them feel welcome. We also have a collection of books and information to help people of all ages and beliefs understand and cope with the various stages of the death process. To clarify a question that is asked often: "If someone dies outside of the Syracuse area, do I have to make arrangements with a local funeral director there?" No . One phone call to Sisskind Funeral Service is all you need to do. Do not "look at the clock", call 315-446-4848 at any time of the day or night and you will speak with Steven immediately. As members of Kavod (The independent Jewish Funeral Directors of America), and The Jewish Funeral Directors of America, a large, nationwide network of trusted funeral homes has been established. Arrangements will be made with a funeral director to have your loved one brought home to Syracuse. 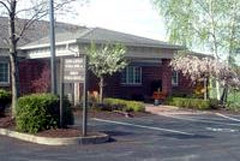 Sisskind Funeral Service is a Syracuse Jewish funeral home located at 3175 East Genesee Street. 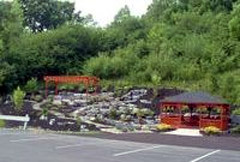 We have parking for over 100 cars and our chapel can seat up to 350 people. Our entire facility is handicap accessible. We thank you for choosing Sisskind Funeral Service.